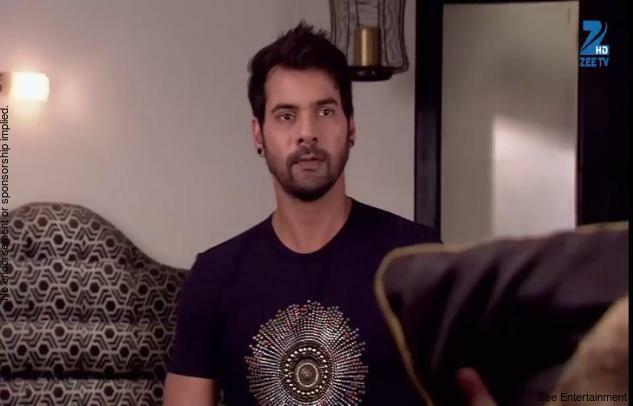 Kumkum Bhagya 1st April 2016 Episode: Pragya tried to win Abhi’s love once again; Rony kidnapped Nikhil unknowingly ! Kumkum Bhagya Latest Episode: Pragya challenges Tanu that their love is real, and it will make them one once again. It’s their Kumkum Bhagya, and it will never let their get separated in life ever. Tanu mocks her that she didn’t know even know her boyfriend’s name and started fighting her. Pragya mocks her that she is ghar wali, and Tanu is a bhar wali. Tanu challenges her that her child would be the owner of Mehra’s house. Pragya counterparts that she will make her go out the house and will return to the home And Abhi will fill Kumkum in her maang that day. Tanu challenges her and put a condition that nothing will be revealed to Abhi. Pragya accepts the challenge but tells she will leave her promise if Tanu uses any wrong trick. Dadi tells Abhi that she will let Sarla beat Pragya. Pragya calls her and informs that the conditions are not right, and they are going to meet in the house today. Nikhil secretly comes inside the Rony’s room to kidnap him. As Nikhil was trying to capture him, his phone starts ringing. Rony runs from there and hides behind the door; Nikhil got his nose injured from the door and put anesthesia on his face by mistake and fainted down on the floor. Nikhil falls on the floor informing Tanu that he is in Abhi’s servant quarters and has locked there. Pragya and Abhi had an argument where she tried to flirt with him, and he keeps on going to the point that she destroyed his life. Pragya tells that his wax statue would build in Madame Tussauds. Abhi goes to meet Dadi and Tanu comes and argue with her. Dadi tells Sarla that she has to act as she is also angry on Pragya. Abhi comes, and Dadi started showing her anger, Sarla also supports. He gets emotional and tells that Pragya will learn herself there is no need to slap her.